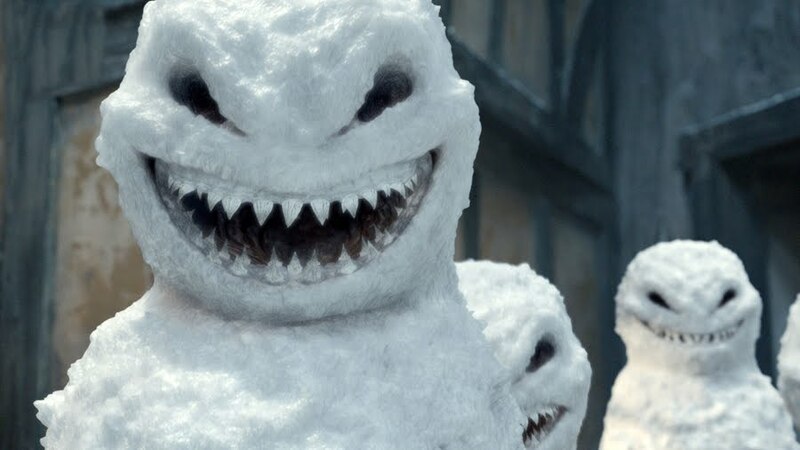 Lead writer and executive producer Steven Moffat gives us an insight into the monsters and adventures that we can expect from the Christmas special. What can we expect from the Christmas special? The Christmas episode is Doctor Who, only more so, and this year we're going for more epic. The Doctor, when we meet him, isn't in a good place. A bit like when we first encountered William Hartnell as the Doctor in 1963 - or indeed Christopher Eccleston in 2005 - this a cold and withdrawn Time Lord, wanting no part of the world around him. It's going to take a lot of Christmas spirit to get him back out those TARDIS doors. Are there any new monsters? Well there are Snowmen. You've probably guessed that from the title. But that's not all. Dear me, no! But monsters should always be a bit surprising, so that's all I'm saying. How do you find writing the Christmas special as opposed to a regular episode? Does it differ at all? You're very aware of the time of year, and the noisy, sugared-up, slightly tipsy household. Sometimes we play along with something a bit frothier. Though this year, we might just give them a fright! Last time we saw the Doctor he said goodbye to the Ponds. Will we see a different side to the Doctor in this episode? This episode welcomes Jenna-Louise Coleman. What can you tell us about her character? It's going to quite a journey of discovery with Jenna and her character - and it doesn't start here, it starts on Christmas day. For now, enough to say, that the Doctor in his darkest hour, long ago in a Victorian winter meets the exactly the right person. Or does he?